I Kriti or dinners to never forget. Now if I’d have to search for a word to describe this place it wouldn’t be hard: AMAZING. 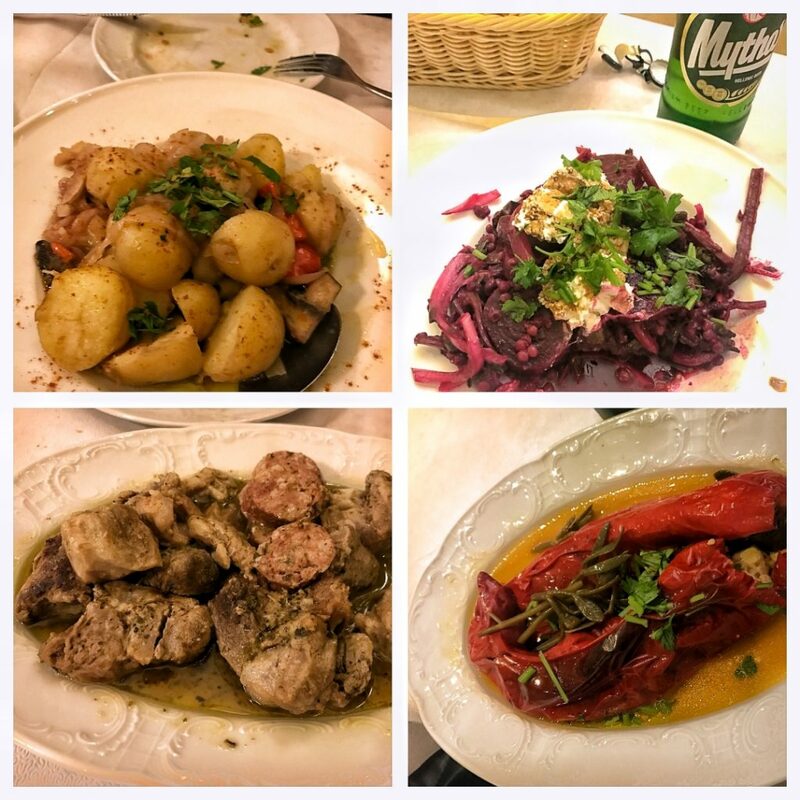 When I decided to visit Athens in May I decided to try as many restaurants as possible and to enjoy the local cuisine. I did try quite a few places and they were all exceptional but I Kriti is something else. Something entirely different. Located close to Omonia Square you can easily pass it if you’re not paying attention. The first night I ate there I stood for a minute outside the place searching for it. Located inside a building with no major signs, under an arch it can be a bit difficult to find but trust me: this is this restaurant’s only fault. Inside the restaurant you will find exactly what you always wanted: smiling staff, very polite, helpful and always there if you need anything. And most important you will find food. FOOD, sorry. Because I ate here two times and this is more than food. It is a delight after a hard day of touring Athens, something that you will not easily forget like you do in most restaurants. Now you might think I am crazy but everything I tasted was delicious. From the simple mezes to the main courses. I can’t remember the last time I was that impressed with all the food served in a restaurant. 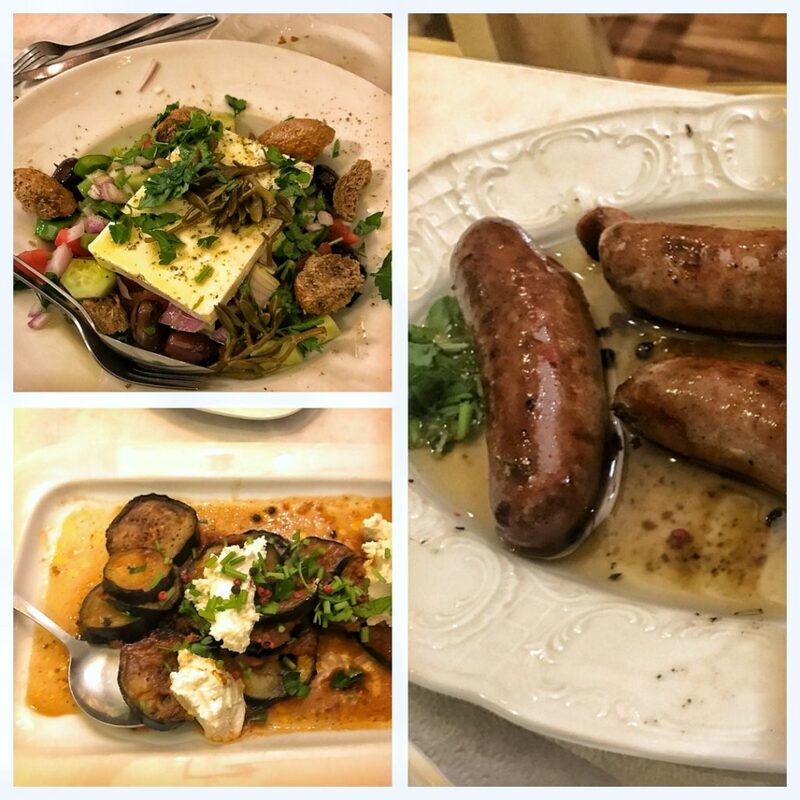 As you can see in the pictures attached I have tried many things ranging from sweet feta cheese with honey to salads and meat and Cretan sausages in wine. I will not waste time describing each course and dish but rest assured, all were delicious. Mixed with Greek beer or wine ( according to preferences) dinners at I Kriti were simply something… something excellent. The service is very very good as I stated at the start and the waiters are polite but they also can help you decide or tell you the menu of the day, which is not written down. All in all a perfect experience, that really raised the bar high for all the restaurants from my future trips, I Kriti is living proof that amazing meals need not be expensive or served in a fancy restaurant. Simple, fresh ingredients will always be the pillars of a great meal. If in Athens really take some time off to visit this place.